A suspect released without charge after being arrested by police probing massacre threats at a Blackpool school has threatened legal action. The man, who was on bail for four months, said he plans to sue Montgomery High School’s headteacher Tony Nicholson, the Fylde Coast Academy Trust (FCAT), which runs the school, and Lancashire Police, after being told he faces no further action. The man said he was falsely arrested on January 7 after ‘untrue and or misleading information’ was passed to officers investigating the online threats, which pledged to carry out a US-style shooting at the school, in All Hallows Road, Bispham. 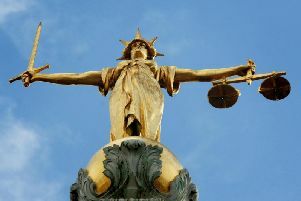 Naming his partner as co-claimant, he claims his family members were interviewed by Social Services, children assessed for risk, and his computer equipment seized, legal documents seen by The Gazette revealed. The pair said they are claiming a total of more than £50,000 from both Lancashire Police, for ‘false arrest’, and FCAT and Mr Nicholson, for ‘defamation and emotional distress’. “Losses from this false arrest include costs associated with replication of documents, replacement software, replacement telephones, replacement computers, and other electronic equipment,” the duo’s notice of claim states. Claimants also require that social services record and the criminal record associated with this false arrest to be expunged. “Further, this false arrest resulted in Blackpool Council Social Services interviewing the claimants’ family, a report being made as to the risk of the claimants’ family’s children being subject to risk, and a permanent record being made to that end. Claims against a number of third parties have been dropped, it is understood. The man, from Blackpool, was held just over a week after threats appeared on entertainment website Reddit and social network Facebook on December 30 and 31. One online post said: “You think it’s a joke? You’ll see bullets, bodies, and blood,” while another pledged to kill as many people as possible on Monday, January 4. Although police said from the start the threat was not being treated as credible, officers stood guard as classes resumed following the Christmas break in a bid to reassure parents and pupils. Initial attendances plummeted to just 268 – down from its usual 1,371 – with eight out of 10 seats left empty, as Mr Nicholson accused the anonymous poster of spreading anxiety among parents. Days later, a 54-year-old was arrested on suspicion of public nuisance and malicious communication offences following an extensive probe by detectives. But a spokeswoman for the force yesterday confirmed he was released without charge on Friday. Lancashire Police said its overall probe into the threats remains ongoing, with the person behind them still at large. Tony Nicholson, who is also deputy chief executive at FCAT, said: “It’s in the best interests of everybody that the person responsible for these comments is caught as soon as possible. “At all stages, FCAT and the leadership at Montgomery High School have co-operated with police in good faith and confidence. “We have answered everything we have been asked in the most honest, up-front, and co-operative manner. Montgomery was praised by both the police and parents for its handling of the situation, which saw panicked parents keep their children away. Speaking outside the school on the day the massacre was threatened, neighbourhood police inspector James Martin said: “The school has opened, which I think is very important, and that helped us to get everything back to normal for the spring term. “Every threat is processed by police, and it’s worked on by the information and the intelligence we have. Montgomery was also praised by education watchdog Ofsted last month, after it was lifted from special measures and told it is on the right path to becoming a ‘good’ rated school.